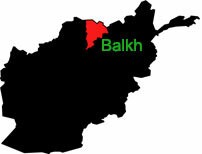 MAZAR-E-SHARIF, Afghanistan, March 20 (Xinhua) — Nine persons were killed and two others injured after a mini-bus collided with an oil tanker in northern Afghanistan’s Balkh province on Monday, said police spokesman in the province Shir Jan Durani. The deadly accident took place in Hairatan locality in the afternoon and those killed in the accident include three children, two women and four men, the official said. Without providing more information, the official blamed reckless driving for the deadly accident and said investigation has been initiated into the case.